Under Secretary for Trade and Foreign Agricultural Affairs Ted McKinney travelled to Colombia and Panama Nov. 27-Dec. 1, 2017 to highlight the mutual benefits of the United States’ free trade agreements with both countries. McKinney held bilateral discussions with government counterparts in Bogotá and Panama City, explored marketing opportunities with Colombian and Panamanian importers, and visited the Panama Canal and the USDA Animal and Plant Health Inspection Service (APHIS) screwworm research facility. McKinney tours the Panama Canal, where two-thirds of the ship canal traffic is to or from the United States. With him is Captain Miguel Rodriguez, president of the canal’s inspection board. McKinney tours a supermarket operated by Riba Smith, a major Panamanian retailer that imports 65 percent of its inventory from the United States. Accompanying him is Julio Valdes, director of the Riba Smith Group. Last year, U.S. consumer-oriented exports to Panama reached a record $385 million. Before departing Panama, McKinney toured the APHIS research facility where the United States and Panama are teaming up to eradicate screwworm. With him is plant director Dr. Gwen Keller. Under Secretary McKinney discusses opportunities with Colombian importers. Colombia is the largest export destination in South America for U.S. agricultural exports. 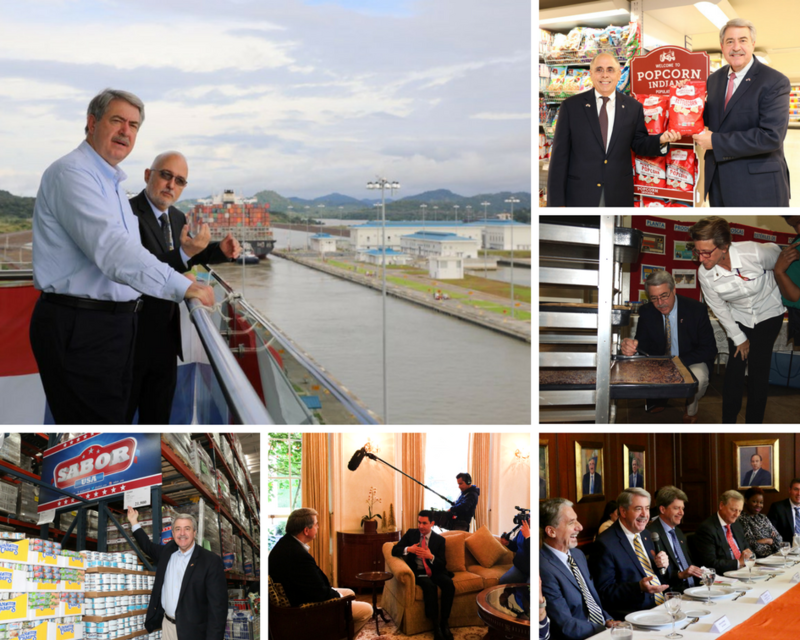 Promoting U.S. food exports to Colombia, Under Secretary McKinney films a TV segment for SaborUSA in Bogotá. Under Secretary McKinney sees the array of U.S. foods on display at PriceSmart, one of Colombia’s largest retailers of U.S. products. Since the 2012 trade agreement, U.S. consumer-oriented exports to Colombia have grown 71 percent.